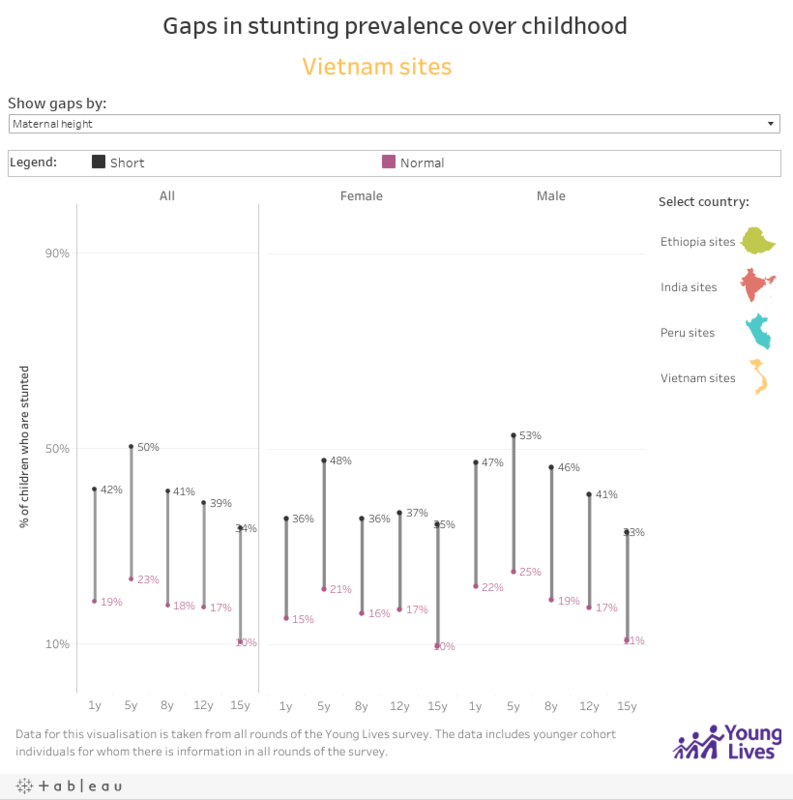 This visualization shows the gaps in percentages of children in Young Lives who are stunted from early childhood to mid-adolescence, in each country. 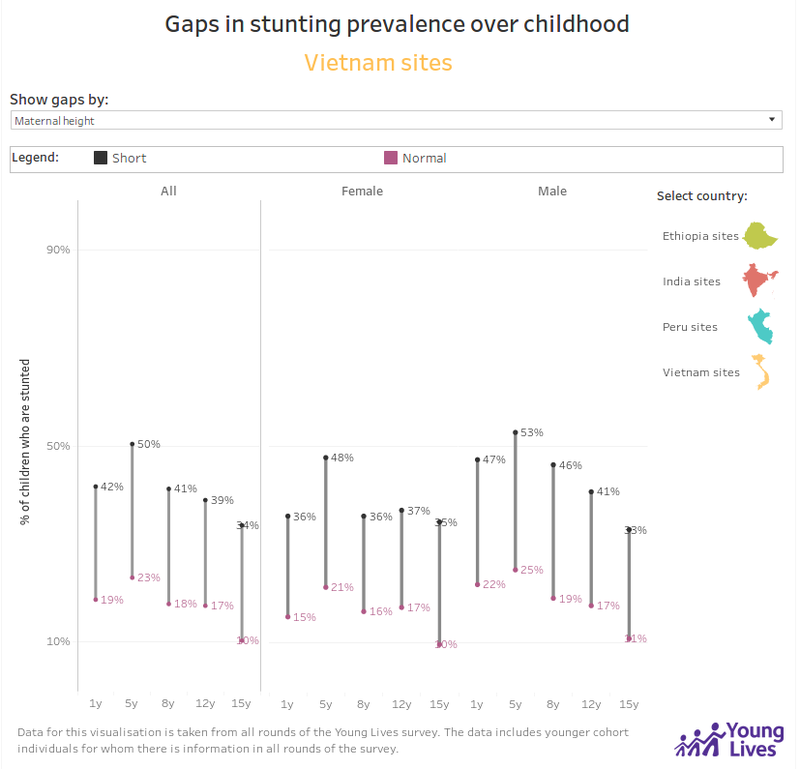 The visualization can be filtered to show the prevalence of stunting in, and the size of the gap in prevalence between two groups of children, as characterised by their location in 2002, their household wealth in 2002, or their mother's height. Note that it automatically filters to show only one country at a time, which can vary upon selection. For information on how we define these variables, please find our data dictionary here. The height of the mothers of the Young Lives children was measured using anthropometric equipment. Mothers were classified as short if their height was less than 145 centimetres.